A short 20-minute drive from Anchorage, Alaska on Seward Highway, one of America's most beautiful scenic byways. 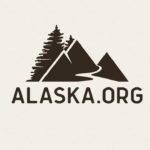 We're located at Mile 104 on the Seward Highway just a short 20 minute drive south of Anchorage, Alaska. 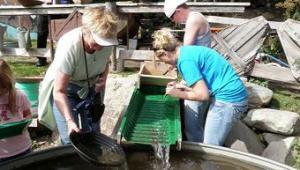 Indian Valley Mine & Gifts is family owned and operated by Roger and Arlene Cowles. We're open every day 9am to 6pm from May 15 to September 15. The main cabin and the assay building at Indian Valley Mine are some of the oldest structures built on the Turnagain Arm, and are listed as a National Historic Site. The main cabin is now a gift shop and the assay building is now a mini museum. Indian Valley Mine offers visitors the opportunity to learn gold panning, browse through an assay building mini museum and visit our gift shop, or simply sit back in one of our rocking chairs and breath in the panoramic view of the Turnagain Arm. We'd love for you to connect with us online. We occasionally share fun photos of wildlife on the property, group activities, and GOLD! Call (907) 444-6898 to schedule after-hours appointments.